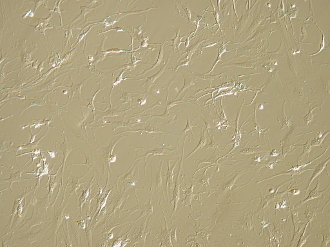 Monolayer Culture: Synovial tissue is digested with an enzymatic treatment. The isolated cells are seeded onto a flask or multi-well plate in media supplemented with 10% FBS. The cells are maintained in a humidified incubator at 37oC and 5% CO2 for a minimum of 48 hours to promote cell adhesion and then shipped with cold packs for overnight delivery. The standard seeding density is 50,000 cells/cm2.